Residence property with sea views in 1041 – for Sale! Prices up € 75.000, – !!! 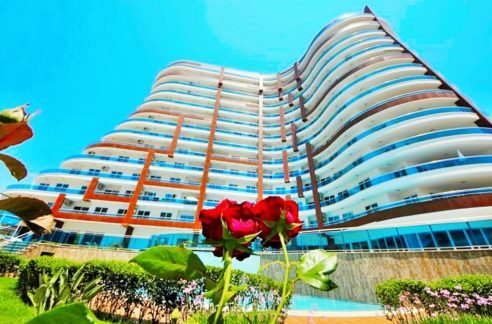 The apartments have 115 m2 of living space with a spacious living room, kitchen, 2 bedrooms, 2 bathrooms and a large terrace overlooking the pool! The kitchens are fully equipped with dishwasher, oven, stove, hood and refrigerator with freezer. The bathrooms have a shower, toilet and sink (with cupboard). The large bathroom is the washing machine. All rooms are equipped with air conditioning. The windows are double glazed and shutters are also available. 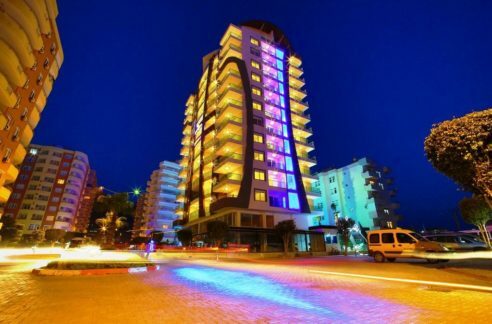 The facility is located approximately 1 km to the beach and 2.5 km to the center & harbor. 20 meters from the residence is a supermarket for everyday purchases. The shopping centers are within 400 meters. 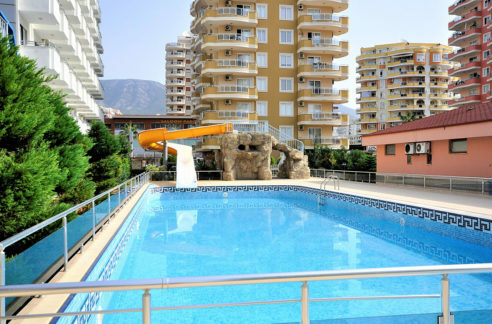 This property can be rented out week by our cooperation in the season weeks 300 Euro! 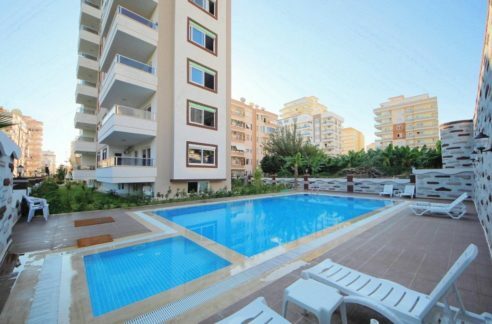 We offer 3 more apartments (fully furnished) with 2 or 3 bedrooms, 2 bathrooms and 1 or 2 balconies with pool, sea, castle and Alanya view! Contact for more details and an appointment!